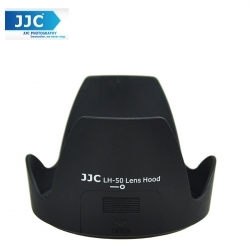 JJC LH 50 lens hood has a side window for easier adjustment of special rotary filter as ND and CPL filter while the hood is present. It prevents unwanted stray light from entering the lens by extending and shading the end of the lens . There is no Vignette with the hood on . the " petal" shape of this lens hood maximizes the amount of hood coverage for the minimum amount of weight and hood area . It can also over backwards the lens for a more compact storage solution are inserted . It allows you to a lens cap with the hood at set . in addition, since the end of the lens is extended , you will also have the added benefit of some extra protection from accidental impact . 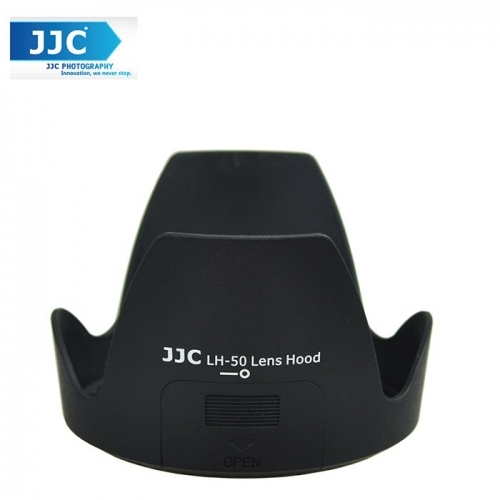 JJC LH 50 lens hood replaces Nikon HB -50.